Congratulations to Derek Shambora out of Florida for winning the 2015 SureCrete Photo Contest category for best concrete countertop project!!! This outdoor bar was designed with clean lines and smooth concrete surfaces in mind. 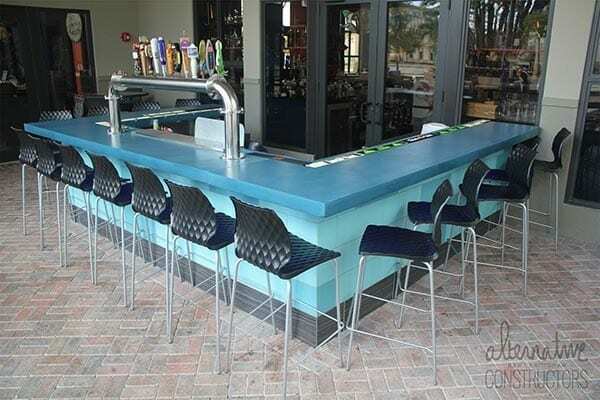 The blue coloring made for a great refreshing and inviting bar scene!